The quarterback position is widely considered the most challenging position to play in all of sports. While their responsibilities may slightly differ from scheme to scheme, they are required to lead an offense, and usually, an entire team, on and off the field. On the field, one of the most important attributes a quarterback can possess is accuracy throwing the football. Many think of accuracy in terms of completion percentage or if they hit a wide receiver in stride but there are many layers to it. How is their short, intermediate and deep ball accuracy? Are they able to throw with touch? Are they accurate on the move or on off-platform throws? How is their accuracy in the red zone where the passing windows are potentially smaller? Are they generally accurate or do they possess pinpoint accuracy? If a quarterback has accuracy issues is it something that you can coach, improve upon and work around or is it a natural gift? You either have it or you don't. Aside from what the player can control (mechanics, footwork, etc), it's important to understand the environment and number of external factors that can affect accuracy. These can include offensive line play, scheme, defensive assignments and scheme, and wide receivers/tight ends. 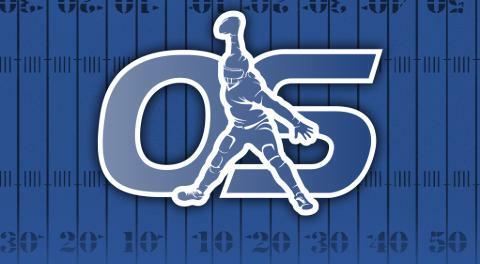 An accurate quarterback can throw an inaccurate pass because of any of the above variables. Whether it be the receiver not creating enough separation, misidentifying the coverage and playing into the defense’s scheme, or the offensive line not allowing ample time for the quarterback to make a throw from the pocket. In last year’s NFL Draft, two of the quarterbacks selected in the 1st round had questionable accuracy – Josh Allen and Lamar Jackson. While both players struggled with their accuracy at times as rookies it's clear that Buffalo and Baltimore were intrigued enough with each player's skillset that they were willing to work around their accuracy issues. Josh Allen possessed a prototypical QB frame (6'5", 238), with elite arm strength and mobility. Lamar Jackson may have lacked the jaw-dropping size and arm strength of Allen but he was the most dynamic rushing quarterback in college football history. This isn't the first time that teams have been intoxicated by a quarterback's overall traits all the while knowing there is room for improvement with their accuracy. The Tennessee Titans rolled the dice on Jake Locker in the 2011 NFL Draft. In 2003 the Baltimore Ravens also drafted Kyle Boller in the 1st round. In an article on NFL.com in 2012, Ravens ex-Head Coach, Brian Billick discussed Boller's accuracy, “With Boller, we decided that the lack of quality receivers at Cal was a significant part of the reason for his lack of accuracy." In this year’s draft class, there is a quarterback who fits the mold of the ones above. 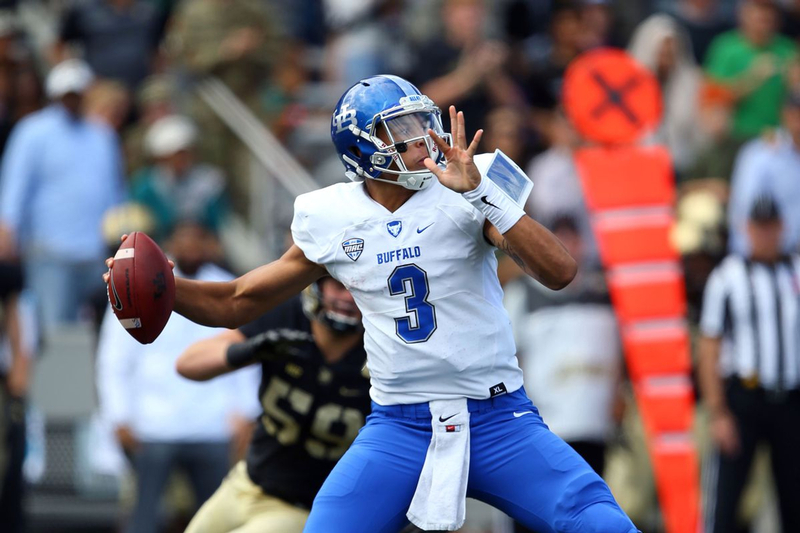 University of Buffalo's Tyree Jackson was a multi-sport athlete in high school as he played football and basketball. He elected to go to Buffalo where he was a three-year starter after his redshirt season. Like Allen, Jackson’s collegiate stats are not over the top despite playing at a non-power five program. However, several traits jump off the screen when looking at Jackson’s game. In his throwing motion, he has a wide base with a lively arm, in which he generates most of his power from the upper half of his body. His throwing motion is a prolonged process. With his wide base, Jackson may lose some velocity as he is not generating much power from the ground up and it is impressive how strong his upper body is to throw the ball deep down the field on a rope. He displays erratic foot movement, where his upper body will move faster than his lower body causing a disconnect. He also showcases wide arm motion, where it takes him longer to release the football. While he can be turnover prone with risky decisions and off-target passes, there is not a throw on the field that Jackson can not make. He also has an innate ability to scramble and create time for his receivers to get open while he moves outside of the pocket. From a passing traits perspective, Jackson's game resembles Carolina Panthers, QB Cam Newton. Newton is a high variance passer whose accuracy over the course of his career has been scrutinized. Last offseason the Panthers hired Norv Turner as their offensive coordinator who schemed a shorter passing game, that would get the ball out quicker to playmakers like Christian McCaffrey, DJ Moore, and Curtis Samuel. In theory, quicker passing concepts would also limit the number of hits the former NFL MVP would have to weather throughout the year. In the end, Newton played through a shoulder injury but still turned in *statistically* his most accurate season as a starting quarterback. Newton finished with a 67.9% completion percentage and had only eclipsed 60% 2 times in his first 7 seasons. Just like with Cam Newton, the Bills, Ravens and Tyree Jackson's future franchise will need to figure out how to adjust their scheme to maximize their offensive production. Even Doug Pederson has tweaked their offense to better suit Carson Wentz's play style. Tyree Jackson has all the measurables you could want in a quarterback prospect. Time will tell if a franchise is willing and patient enough to give him time to improve his touch and decision making or if they will even try to cater their scheme to hide his flaws.